A popular trend we’ve been seeing is the use of casino parties as company mixers and corporate team building events. 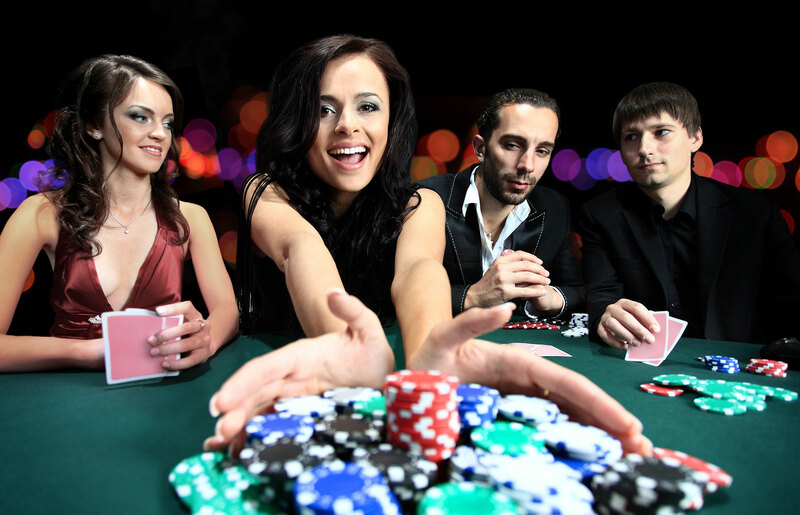 Casino parties are a highly engaging form of entertainment, which promotes interaction between attendees. Invariably through competitive play, groups come together in the spirit of friendly competition and teamwork. The logistics and components are fairly simple. The venue can be off-site, but companies often host casino parties in their own facilities, eliminating the cost of a venue rental. Otherwise, we’ve provided services in a myriad of venue types and sizes, the nature of casino parties lends itself to ease of scaling, we can do an intimate event with just a few tables, or a huge gala with thousands of attendees. Everything from the dealer uniforms, custom chips, funny money, table signage, playing cards, lanyards, and games themselves can be customized to make your company or brand message the central theme of the event. There are all sorts of tweaks that we can make to ensure your event is unique and memorable. We can incorporate branded gifts, and make any special consideration you can think of to make your casino party an extension of your brand. Casino parties are often private events for company employees, but they are just as often organized as “Client Appreciation Events” for your customers. We’ve seen our services used to reinforce customer loyalty through special events, which again can be specially branded, and often see clients refer to our types of events as extremely memorable. There is something unique about casino parties, especially about what they bring to the table as entertainment value (pun intended). We often see guests in the thrill of the moment, the flip of a card, the roll of the dice, the push of the chips all-in. It’s truly an elevated form of entertainment. The great part is since there’s no money involved, nobody goes home broke, yet are full of the excitement and memories of the evening. We’ve had repeat clients tell us that our events have continued to be memorable after many years. For company events, we’ve found casino parties to be an effective icebreaker for both employees and their spouses. It’s often that employees work within their own groups and departments, and sometimes have no reason to engage other employees outside of that. Casino parties give employees that would otherwise not socialize a common ground to talk about and enjoy, that’s outside of the realm of their day-to-day business. We’ve seen spouses also light up in the gameplay, giving them an opportunity to also engage with their spouses co-workers or even other family members. Ultimately, we always get a positive reaction from our events and it makes us happy to know we’ve been able to facilitate a fun and memorable atmosphere. If you’re thinking about doing a casino party for your company we’d love to hear from you. We pride ourselves on helping our clients achieve that special event every step of the way.